Siquijor the island was called Isla Del Fuego by the Spanish. It was our first time to visit this beautiful island of Siquijor in Visayas. It’s one of the most beautiful places we have ever been so far. There are many things to do in Siquijor Island and we will try you to guide how to get to Siquijor Island from Cebu, Manila and Dumaguete. The province of Siquijor is quiet and peaceful. The beaches are perfect for swimming! To get to Siquijor from Cebu, you have to get to the Bus Terminal from the airport you can go by taxi, Grab or jeepney. There are two options: The first one you will have to ride a bus from South Bus Terminal in Cebu City until Dumaguete via Bato. The price for the bus is 280 PHP and the ferry 70 PHP. Once in Dumaguete a ferry or tricycle to the port. From Dumaguete to Siquijor you can get a ferry around hours for 170 PHP or a fast boat for 270 PHP which will be an hour journey. The second option you will have to ride a bus to Liloan. The travel time is 4.5 hours. Once in Liloan you will take a ferry to Sibulan. Once in Sibulan, you will then ride a jeepney/tricycle to Dumaguete City. And from the city you have to ride a jeepney or a tricycle to Dumaguete port. The whole trip will take you 7-9 hours depending on the traffic and the waiting time for buses, jeepneys, tricycles and ferries. Once in Dumaguete port you will get a ferry or a fast boat going to Siquijor. To get to Siquijor from Dumaguete you can get to the island through a 1.5-hour ferry ride which costs around 140-170 PHP per person. Once you get to Siquijor island, you can ride a tricycle to go around and take you to your accommodation. Or you can even rent your own motorbike for $7 USD or less per day. We totally recommend hiring a motorcycle and moving around the island on your own. 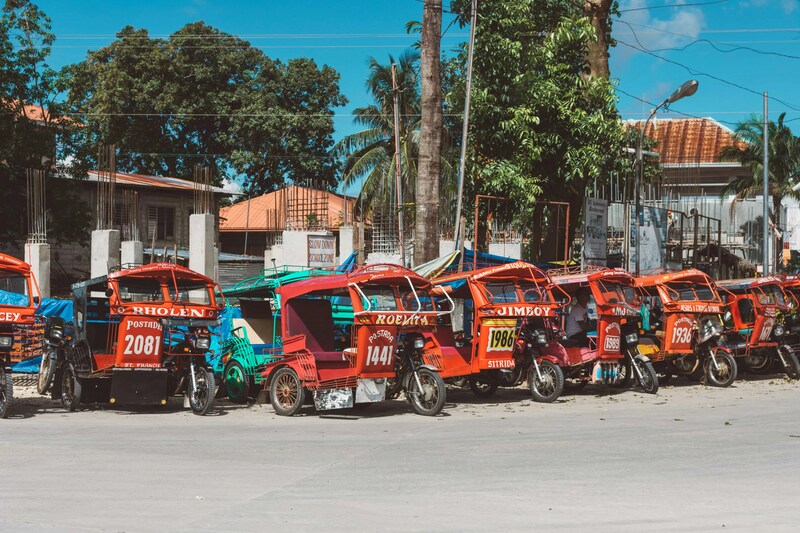 Public transportation like jeepneys almost don´t exist and sometimes you have to wait for a long time for a tricycle in Siquijor. There are no direct flights from Manila to Siquijor. There are daily flights from Manila to Dumaguete with Philippine Airlines and Cebu Pacific. Once in Dumaguete airport you can go to the port by jeepney, tricycle or van. It will take 10 minutes and prices are from 25 PHP by jeepney, 100 PHP by tricycle. Once in the port just catch the ferry going to Siquijor as we mentioned before. Read here places to vistit around Manila and our favorite beaches near Manila! To get to Siquijor from Bohol there are daily ferries from Tagbilaran port in Bohol. Ferries are leaving at 10 20 am to Siquijor and 1 50 pm going back to Bohol. The travel time is around one hour and a half and the price is 890 PHP. Read here our favorite Bohol tourist spots! There are ferries 3 times a week from Dapitan to Dumaguete. The price is around 400 PHP and it takes 4 hours. Once in Dumaguete just follow the steps mentioned above to get to Siquijor. There are ferries leaving on Tuesday and Friday at 5 pm. It takes 8 hours and the price is around 800-900 PHP. You have to ride the fast boat around one hour and 250 PHP to Bacolod. From Bacolod ride the bus on the way to Dumaguete. The bus will take 6 hours and it will cost around 380 PHP. Once in Dumaguete you have to ride a jeepney or tricycle to the port from Ceres Terminal around 15 minutes ride. You can get Airbnb places for 1000 PHP. Get $30 USD off your first booking with AirBnB when you sign up with us! CLICK HERE TO BOOK YOUR ACCOMMODATION WITH BOOKING BEFORE VISITING SIQUIJOR ISLAND! 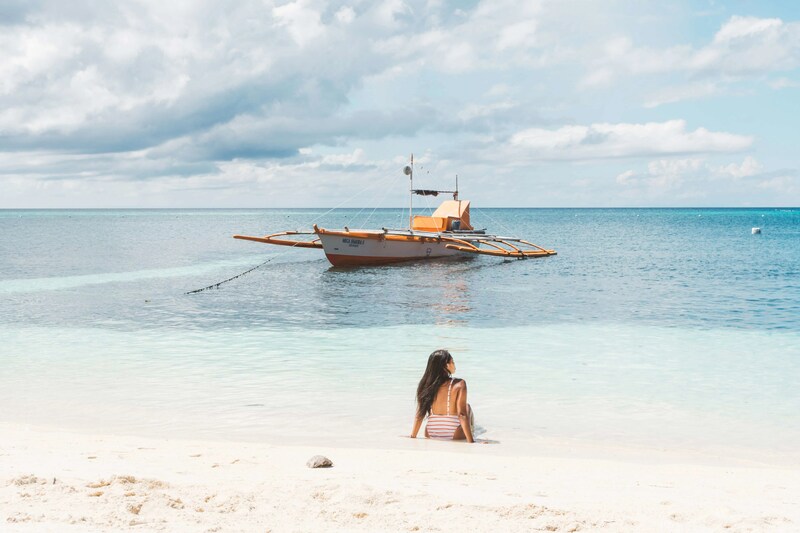 If you are planning to visit more places around Siquijor, click here to read our experience in Dumaguete and Moalboal. If you are planning to visit Cebu for a few weeks, read our complete Cebu travel guide here.